The owner of two Indiana racinos is set to pay a widely disputed $50-million transfer fee ahead of a previously announced acquisition of the properties by Las Vegas casino giant Caesars Entertainment Corp., local news outlet the Indianapolis Business Journal has learnt. Caesars announced last November that it would buy Hoosier Park in Anderson and Indiana Grand in Shelbyville for the total amount of $1.7 billion. 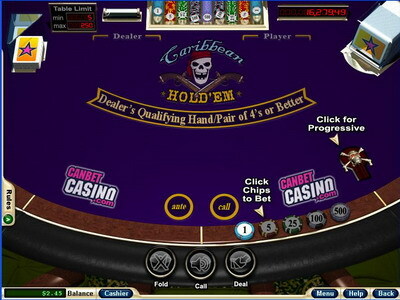 The two properties are currently owned by Indiana-based operator Centaur Gaming. Under Indiana state law, an initial gaming license holder is obligated to pay a $50-million transfer fee when the license is acquired by another entity. There are a few exceptions to that law such as a transfer that involves the acquisition of a controlling stake from an initial license holder that has declared bankruptcy. Upon announcing their deal, Caesars and Centaur were informed by the Indiana Gaming Commission that the latter would have to pay the transfer fee before the acquisition’s completion. The two companies argued that the fee did not apply as it did not involve initial license holders. However, the state gaming regulator has maintained that the payment should be made. Hoosier Park was originally owned by Hoosier Park LP, while Indianapolis Downs LLC was the initial license holder for Indiana Grand. Hoosier Park LP was a subsidiary of Centaur. Centaur filed for bankruptcy in 2010. Its reorganization plan back then involved the creation of new entities that would assume control over its holdings. The Hoosier Park license was thus transferred from Hoosier Park LP to the newly created Hoosier Park LLC. The $50-million transfer fee requirement did not apply, as the transfer was the result from a bankruptcy filing. In a similar manner, Indianapolis Downs filed for Chapter 11 bankruptcy protection in April 2011. Centaur acquired the company’s license to operate Indiana Grand two years later in a deal valued at $500 million. The transfer fee did not apply once again, as it involved bankruptcy proceedings. It has become known from a series of emails, obtained by the Indianapolis Business Journal, between Caesars legal representatives and the state Gaming Commission that the involved parties have reached an agreement and that the fee will be paid. One of the emails indicated that the payment could be made by Hoosier Park or affiliates before or at the acquisition deal’s closing. As part of its protests against the transfer fee, Caesars has threatened that it would nix a $90-million plan for the relocation of Horseshoe Southern Indiana, one of its Indiana-located riverboat casinos, onto nearby land. However, the operator broke ground on the project earlier this month, which, too, could be considered an indication about the reconciliation with state gaming regulators. As for Centaur, it previously said that it would take legal action if the Indiana Gaming Commission kept on insisting that the transfer fee was applicable. While the company has taken a milder tone since then, it has not revoked its litigation warning yet.